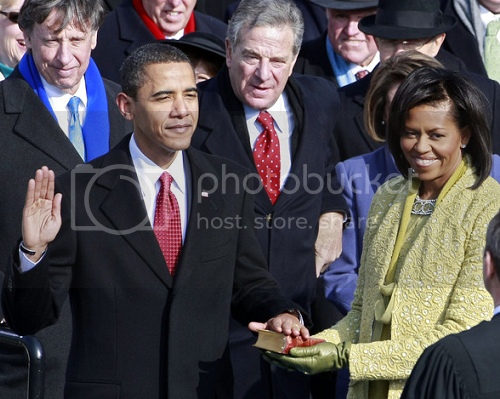 NEW MUSIC FROM LETOYA: "NOT ANYMORE"
Barack Obama (former Senator from Illinois) was sworn in by Chief Justice John Roberts as the 44th U.S President on Capitol in Washington, D.C. alongside his family (wife Michelle and daughters Malia and Sasha). 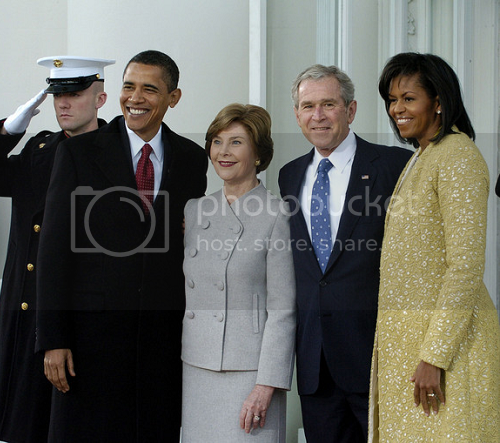 Barack became the fifth youngest President and the nation's first African-American president. 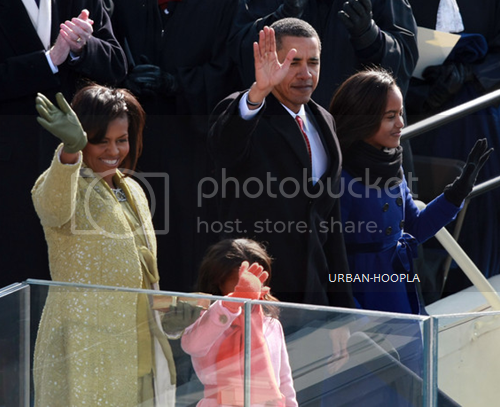 Congrats to The Obama family! 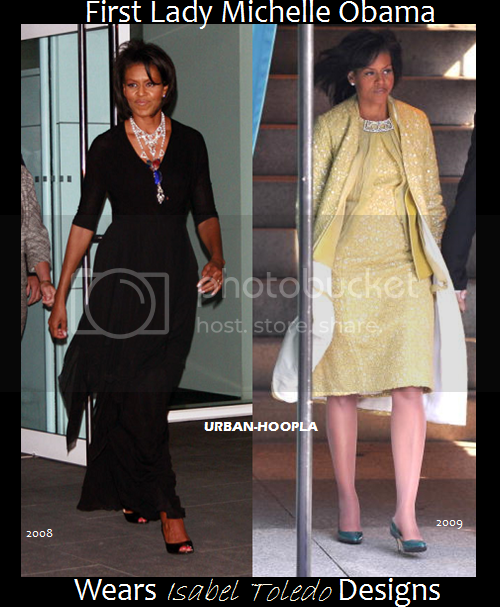 Malia and Sasha's coats (see above) are from Crewcuts by J. Crew. 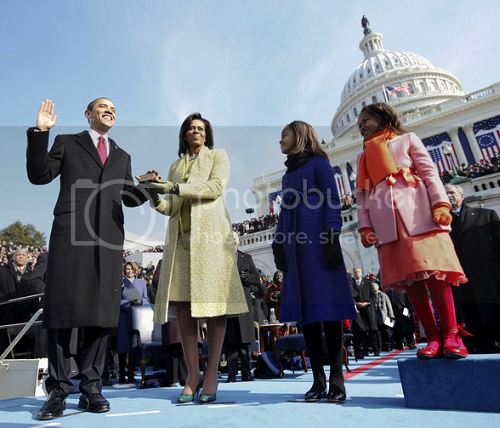 Just in case you missed the historic moment, check it out as Barack said he's humble. I loved it all...from the speeches, to the attire, to the swagger, to the love, to the balls, to the first dance, to the adoration, to the performances, to the nights end. I loved it all! I agree Lola. What a eventful night it was from the first dance to the parade.